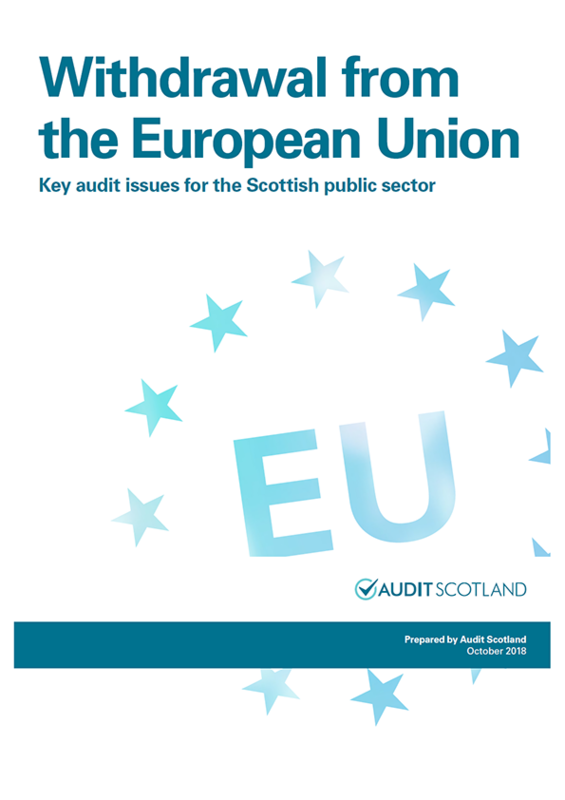 We’ve published a paper highlighting the key audit issues that we think EU withdrawal presents for the public sector. The paper includes a series of questions that public bodies may want to ask themselves, and sets out our current plans to reflect EU withdrawal in our audit work. Mark Roberts, Senior Manager, explains more about the paper in his blog. Visit our e-hub on financial devolution to find out about our work on Scotland's new financial powers.